Our meals are all prepared from a large open-plan kitchen, with ‘al-fresco’ eating in our large dining area overlooking the pool and palm tree garden. We do focus on fresh and healthy food for our guests and each meal is nutritionally balanced. If you have any dietary requirements please do let Debs know in advance. We are somewhat limited in Lanzarote to brands and health food items so if there is that special product that you just can’t do without please do bring it with you. 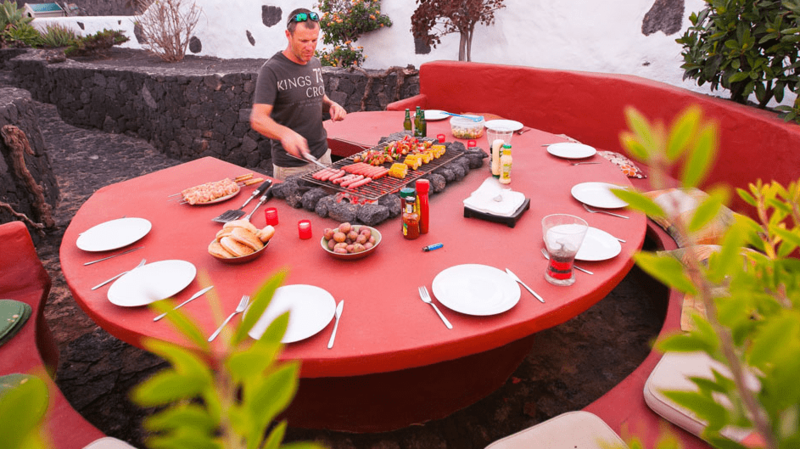 We eat 5 of the evening meals at the villa and on two evenings visit local restaurants to ensure you all get a taste of Lanzarote. 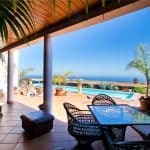 We also have our Famous BBQ night which is a firm favourite with all guests. Unlimited Freshly Ground Coffee, Tea, Herbal Teas, Juices, Filtered Water, Fruit and Snacks are available all day. As daily training schedules may vary lunch is make your own. The fridge is stocked full of everything you can imagine, cut and stored for easy access and convenience. We know that triathletes have the hunger of a wild animal. There’ll always be a relaxed atmosphere, delicious food and plenty of it! Some Sports Nutrition is available to buy at the Villa – please enquire for details. We cater for all dietary requirements including Vegan, Vegetarian, Pescetarian, Coeliac, Lactose Intolerant, plus many more, Please let us know at the time of booking if you suffer with any allergies. Catering is not included in the Private Bookings and selected Group Booking packages.. if, however you would like to add this service then please let us know.